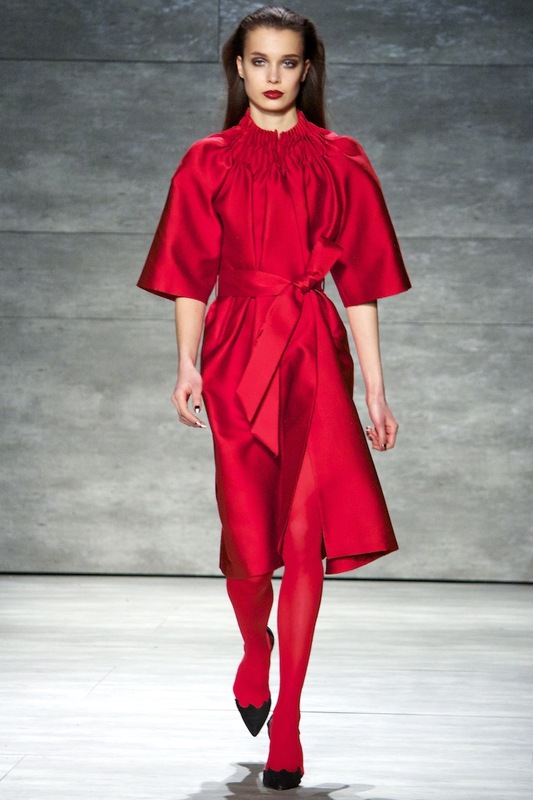 Ruffian's Fall 2014 collection explored monastic opulence, tailored volume and sober religious silhouettes. An inspiration point you're not quite sure how to picture actually works, the luxurious textures and fabrics made it so eye-catching it had you wanting more. 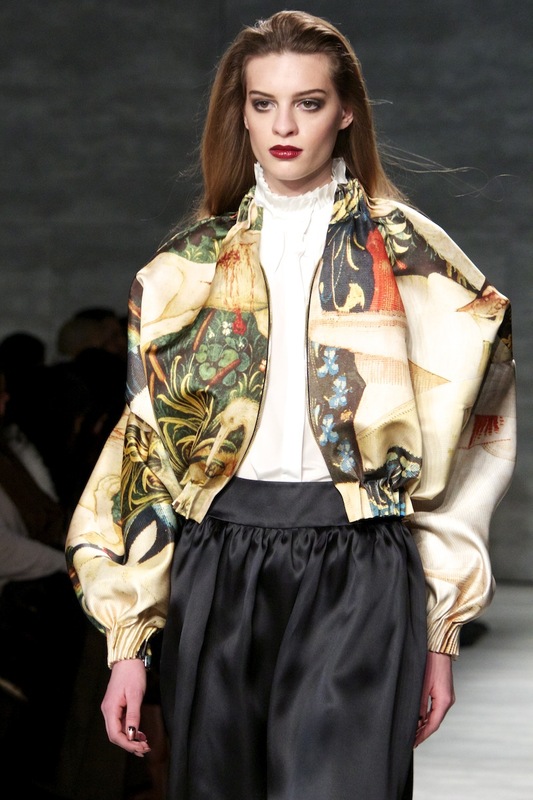 This perfect bomber was my favourite piece off the runway, the rich print and perfect shape is just irresistible. Lavish embroidery and shiny flowing silks gave it a pretty touch that really contrasted and softened the collection with ease. 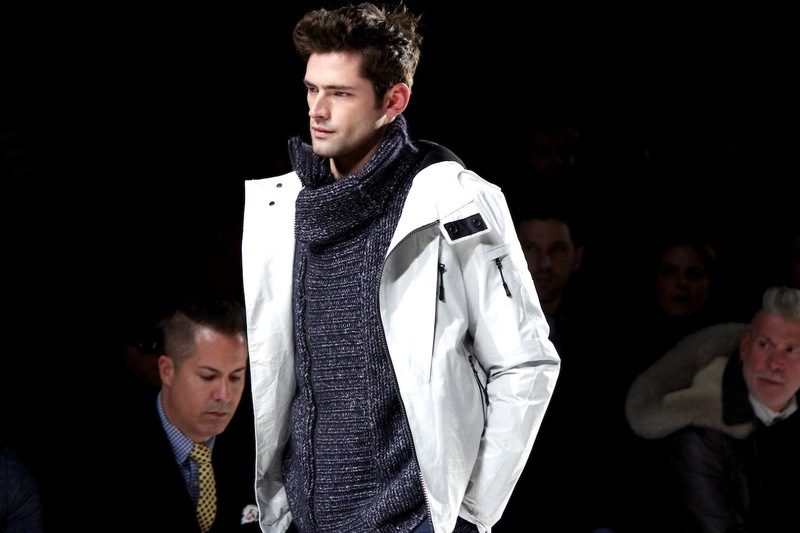 A little bit of handsome male fashion to get you through the week, with Kellan Lutz and The Wanted front row I was thrilled to be invited to attend Nautica's coveted NYFW Fall 2014 runway. A household name that has been iconic in men's fashion since we were kiddies, their latest collection is inspired by the frozen landscape and fittingly titled Black Sail. A mix of modern performance fabrics, digital landscape prints, an icy colour palette and mixing textures. A collection that's stylish, versatile and functional it had me wanting to go discover icy trails and explore frozen lakes with that special someone. 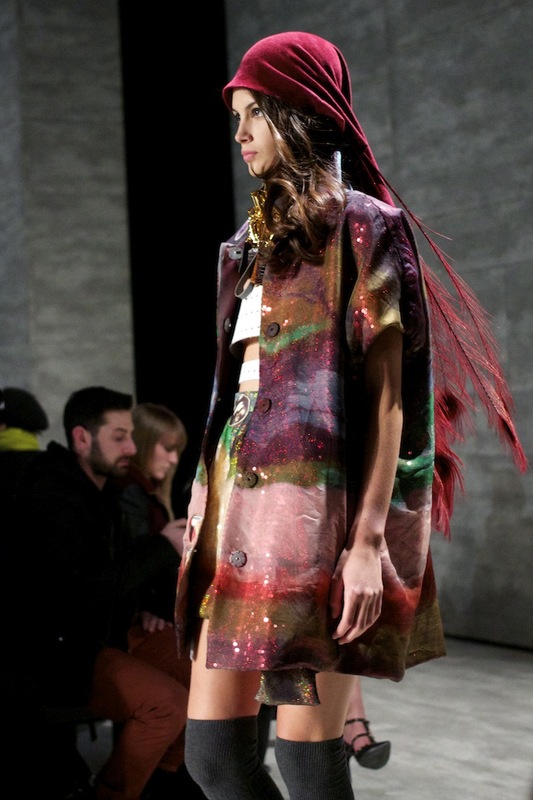 A label born of his roots from a quirky Korean fashion culture, Lee Jean Youn's Fall / Winter 2014 runway designs were inspired by the everyday women of NYC. A woman who cherishes classic style and functionality, yet is not afraid to break the conventional rules and step outside the box. Deemed "oriental punk" his contrasting elements were quirky and runway-ready with individual designs that could brighten and fashion-ize any outfit in an instant. great fashion show and amazing photos. nice post.